This skate session is geared for intermediate and advanced riders. this session is also for those that already have the basics down and just want to ride. Girls are encouraged to choose this session if they have mastered the basics of riding. know how to drop in on the ramp and how to stay safe in a fast paced park session. but everyone must be able to be aware and safe with the advanced riders. Very young children may have a better experience at the other Homage session. Every participant must have a waiver signed with Homage to ride this event. Riders 18 and over can sign up at the session. Riders under 18 must have a parent or legal guardian present to sign. email info@girlsriders.org to get a waiver before the event. There are some boards and safety gear available to use if you don’t have your own. email info@girlsriders.org to provide a specific request of what you need. 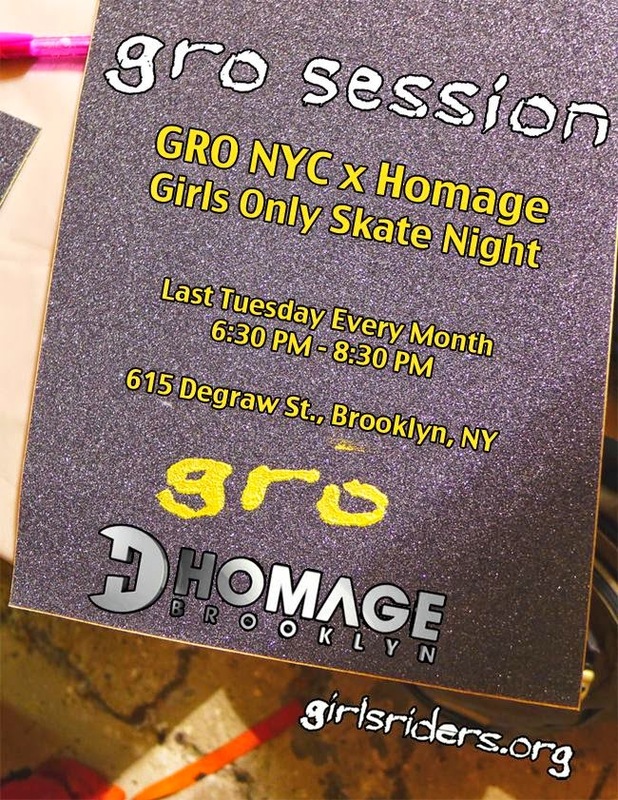 GRO Sessions are free, but donations are welcome and help sessions going.